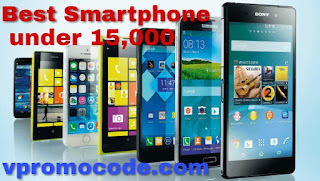 Hello friends, to aaj ham 15,000 ke under acha phone ke bare mein baat karne ja rahe hai. Aap abhi khared sakate hai ye smartphone kuch mounth palale launch hua hai. Mobile company mein chal rahe comprtition, ke karean companies acha feature phone Indian market mein la rahe hai. Whe din the jab ham sochate the ki hamen koi 64GB, 32GB under 15,000 mein nhi milate ab hamare pass ye smartphone hai jo ab fast processor and RAM ke saaath aate hai. Vivo, gionee, Mi, Lenovo jasie companies indin mein adhik popular ho rahe hai. Our acha smartphone bhee launched kiye hain. Yehan kuch acha smartphone ke list diye gaye hai jise aap le sakate hain.